Your leadership matters. You have influence and the ability to positively impact your community and world. No matter where your influence is – in your family, school, work or church – when you commit to grow your leadership, everyone around you wins! Join 445,000 people around the world for two days of world-class leadership training. 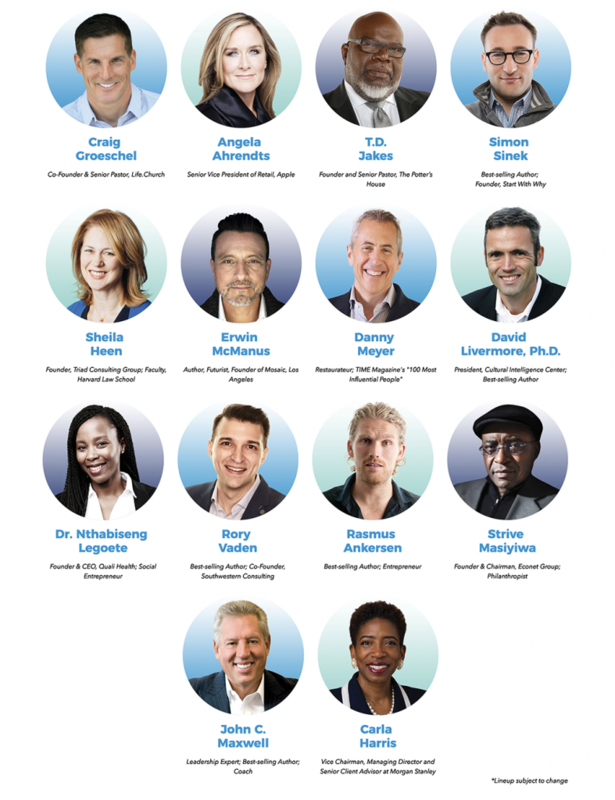 Click the link below to view more information about each speaker. Ready to register? Awesome! Click the button below to be taken to the registration page. Missed last year? Check out these 2017 highlights. 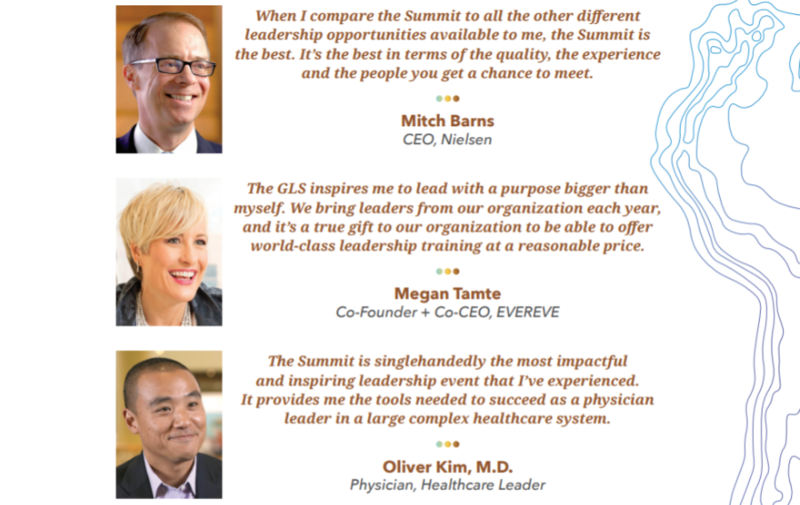 Why do you hold the Global Leadership Summit in churches? As a non-profit organization, we know the necessity of making every dollar count. Sometimes, conveniently located larger churches in the community can provide a valuable resource of both committed volunteers and spacious facilities for viewing the conference, while providing breakout areas and networking space. What about the broadcast quality and the overall conference experience? We’re known for providing a world-class experience. Our state-of-the-art equipment, and professional staff produce each event, and our site volunteers are trained and engaged to serve. Since this is being held in a church, is it a religious event? 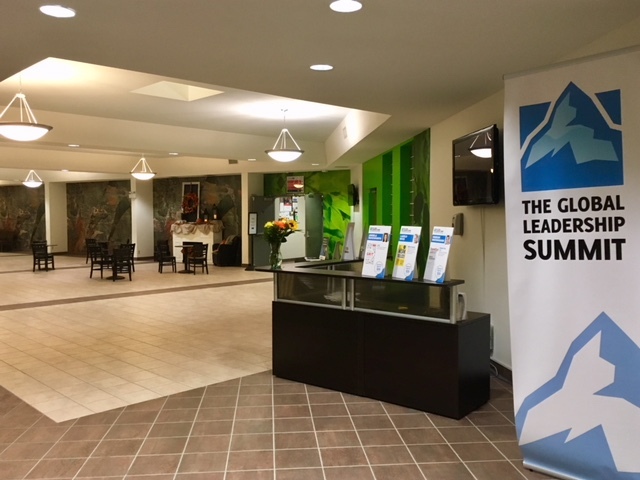 The Global Leadership Summit grows out of a Christian desire to improve the effectiveness of leaders. 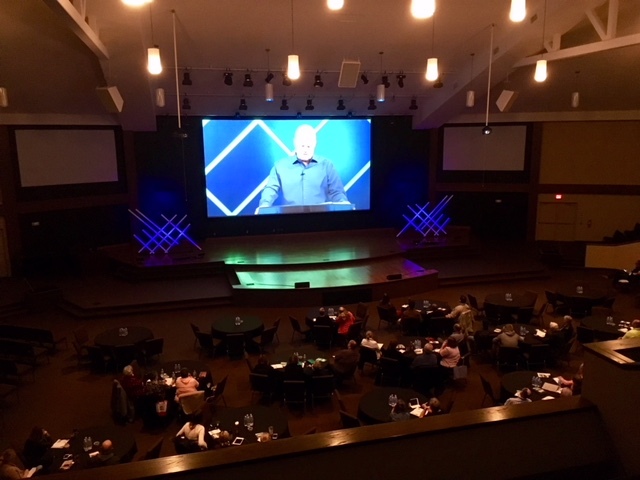 The Summit is designed to reach 445,000 people worldwide from the pews to the marketplace because we believe we can learn from each other, regardless of our faith perspective. Speakers are chosen each year to bring fresh, actionable insights from their own area of expertise – dealing with the most pressing issues people are facing – at work, in their homes, in the church and in the community. 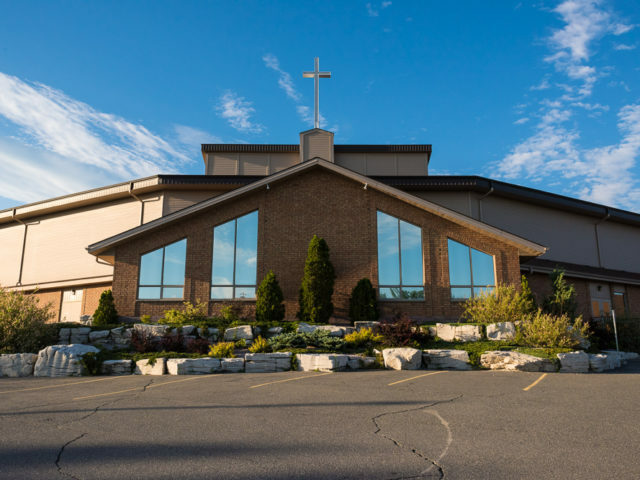 Elements of the Christian faith are celebrated, as we open with prayer and several of the leadership talks will be presented by pastors who share leadership insight from their context but they all stand alongside non-Christian faculty from business, education, etc. If you are not a Christian, there is no requirement to participate in every part of the program.